Pet lovers rejoice: It’s time to welcome a brand-new pet supply and grooming store to town – and they’re focused on going all natural for your furry friends. 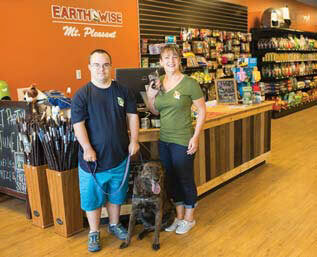 With its recent opening on June 10, EarthWise Pet Supply is proud to bring healthy and safe treats, toys, food and supplies with brands such as Grandma Lucy’s; Stella & Chewy’s; Primal; and more. Following its philosophy that all-natural is the best way to care for your beloved dogs and cats, EarthWise is committed to making healthier animal care easy, accessible and affordable. With EarthWise’s self-wash stations, you now have a chance to get wet and wild with your pets, utilizing a fully prepared facility, with all of the products and tools you want – without the cleanup you don’t! Running short on time? Drop your animals off to be groomed by one of Earthwise’s experienced groomers and fellow pet lovers. Drop by twice a month to see the adorable – and adoptable – local dogs and cats in the Charleston area. Through its work with shelters such as Eunoia Rescue; H.F. Help No-Kill Rescue; and Bullies 2 the Rescue, EarthWise is helping to bring an end to animals without homes and adding more four-legged love to your family. Located in the East Cooper Plaza off of Johnnie Dodds Boulevard, this brand-new supply and grooming center is ready to go with all of your pet care needs. Whether you are looking for the raw products your cats and dogs deserve or stocking up on the toys you know they’ll love, EarthWise is excited to deliver friendly and helpful service for animals – and their owners – throughout the Charleston area. 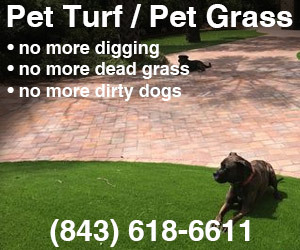 To learn more, visit 619 Johnnie Dodds Blvd., or call 843-388-5225.